New research conducted in the Iwokrama Forest in Guyana has highlighted the value of a modern logging technique for maintaining biodiversity in tropical forests that are used for timber production. Researchers at the Durrell Institute of Conservation and Ecology (DICE) at the University of Kent say that with over 4 million km2 of tropical forests harvested for timber worldwide, improving the way logging impacts on wildlife is essential for global biodiversity conservation. 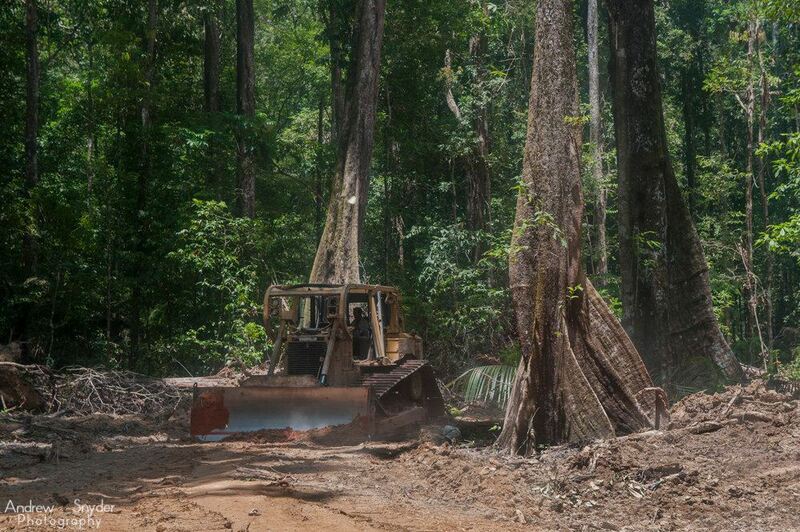 Members of DICE conducted the most comprehensive study of Reduced-Impact Logging (RIL) to date, surveying wildlife communities over a five-year period before and after timber harvesting. The research team, comprising Dr Jake Bicknell, Dr Matthew Struebig and Dr Zoe Davies, discovered that RIL had very little effect on the birds, bats and large mammals in the rainforests of Central Guyana. In fact, they found that the natural rates of change in the wildlife communities were greater than those resulting from this type of modern, best-practice logging technique. Now the researchers hope the new evidence, showing the benefits of adopting RIL over conventional logging, will encourage governments and timber companies to make the switch in their timber industry practices. Dr Bicknell said the research demonstrated that RIL is a ‘cost-effective option’ that will ensure the long-term sustainability of biodiversity-rich tropical forests around the world. It is better for wildlife because it ‘minimises collateral damage to unlogged trees in the forest, and reduces gaps in the forest canopy which are associated with conventional logging’. The paper, titled Reconciling timber extraction with biodiversity conservation in tropical forests using reduced impact logging, is published in the current issue of the Journal of Applied Ecology. This entry was posted in Forestry, News, Protected Areas, Research, Species by guyanaconservationnetwork. Bookmark the permalink.